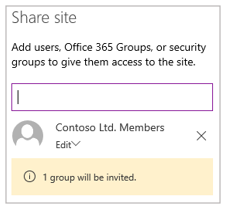 Create an Office 365 user group, and share your SharePoint site with that group. Add users and assign security roles. 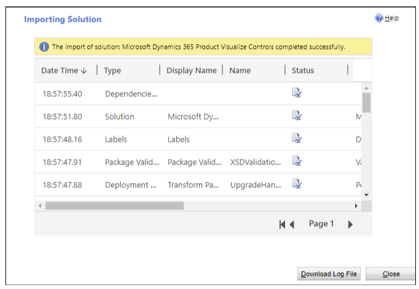 Install the Product Visualize control if you want sales people to be able to open Product Visualize directly from Dynamics 365 for Sales. This topic provides step-by-step procedures for all of the above. You can use Office 365 Groups to choose a set of people to collaborate with and to set up a collection of shared resources. 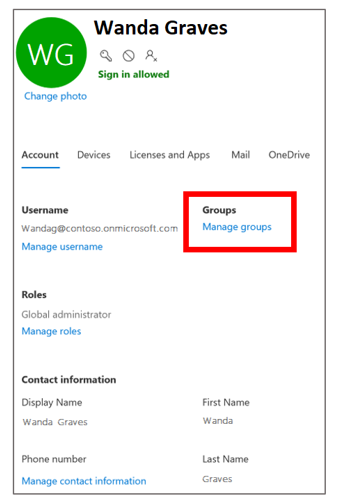 Providing access to the group saves time because that way, you don't have to provide individual SharePoint permissions. The group needs to have read/write permissions to the SharePoint site to make full use of Product Visualize. Open a new private browser window. Go to https://admin.microsoft.com, and sign in with the administrator credentials. In the left pane, select Groups, and then select Groups again. Near the top of the page, select Add a group. Give the group a name, and then set the Group Type to Office 365. Add the admin user as the owner of the group by selecting the Select Owner button. Select Add to finish adding the group. Go to your trial's SharePoint site: https://<org name>.sharepoint.com. In the upper-right corner of the page, select Share site. In the Share window, search for the group you created earlier, and then select the group name to add it to the site. Grant the group Edit permission by selecting the small arrow under the group name. Select Share to finish granting group access to SharePoint. The admin user created during the setup of your instance has full control of all aspects of your trial environment. This user can administer your team's licenses, edit settings in Dynamics 365, and manage who has access to your services. The admin user can also add more users with more restrictive permissions so each salesperson can work with their own account. New users must first be added in Azure Active Directory, which assigns them a username and password. Then, the user must be assigned a security role in Dynamics 365 so they can access the Dynamics 365 applications. Go to https://admin.microsoft.com and sign in with the administrator credentials. In the left pane, select Users, and then select Active users. Near the top of the page, select Add a user. User - This user won't have permissions to the Microsoft 365 admin center or any admin tasks. Global Administrator - This user will have access to all features in the admin center and can perform all tasks in the admin center. Custom Administrator - You can assign this user one or many roles so they can manage specific areas of Office 365. Enable the licenses for Dynamics 365 for Sales and Office 365 Enterprise, and then select Add. On the confirmation page, make note of the username and password before selecting Close. Select the user you just created, and then select the Edit button for Group memberships. Select Add Memberships, search for the user group you created earlier, and then select the group name to add the user to the group. Select Close to finish adding the user. It can take some time for users added to your organization to show up in Dynamics 365, so it's a good idea to add all the users to your organization before continuing. In your private browser window, go to your Dynamics 365 URL, https://<org name>.crm.dynamics.com. Select the Sales Hub application in the list. Select the Settings button in the upper-right corner of the page, and then select Advanced Settings. In the Settings drop-down list at the top of the page, select Security. On the Security page, select Users. Select the name of the user you created. On the Users page, from the menu bar near the top of the page, select Approve Email so the user is synced by the server. 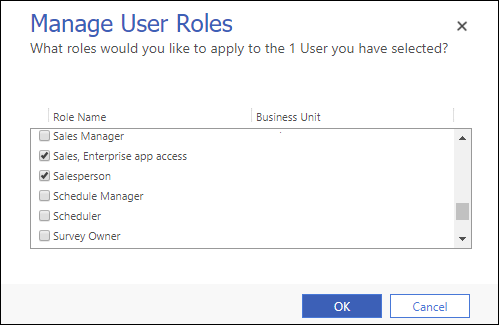 On the menu bar, select Manage Roles. Select the "Sales, Enterprise app access" and "Salesperson" options from the list, and then select OK.
Products are the things you sell to the customer, which can be physical goods or services. Products that a customer might be interested in purchasing are added to a sales opportunity. This enables salespeople to exactly track a customer's needs to the potential revenue a sale might bring in. Products are sold in units, which represent the possible quantities that are sold together. Examples of units include hours, cases, or pallets. Units are grouped into unit groups, which keep units with a similar purpose together. If you sell services, "time" might be a unit group containing days, hours, and minutes. Products can be priced differently depending on who you are selling to, when the sale is happening, and where the customer works. Prices with a similar purpose are grouped together into Price Lists. For example, you might have one price list for customers in Canada and another for customers in the United States. Individual products can be arranged into a hierarchy, as well. Product Families allow you to categorize similar products based on your organization's needs. This section provides step-by-step instructions for creating a new price list, product family, and product. 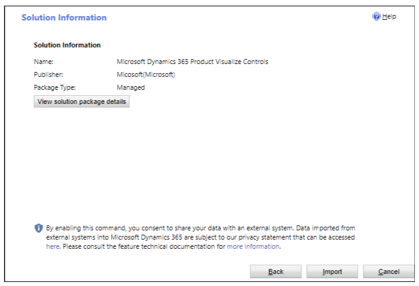 Dynamics 365 provides default values for units and unit groups. Go to the Dynamics 365 Sales Hub https://<org name>.crm.dynamics.com. In the upper-right corner of the page, select Settings, and then select Advanced Settings. In the Settings drop-down list at the top of the page, select Product Catalog. Create a new price list by selecting New near the top-left of the page. Give the price list a name (Default Price List), and then select Save and Close. Open the navigation menu on the left, and then select Products. Select Add Family to create a new product family. Give the family a name (Product Samples) and a Product ID (PS-1), and then select Save and Close. Select Publish to finish creating the product family. In the left pane, select Products to return to the product list. Select Add Product to create a new product. Add values for Name and Product ID (use any values that you want). Set the Parent field to Product Samples (the product family created in the previous procedure). Set the Unit Group field to Default Unit, and set the Default Unit field to Primary Unit. Set Decimals Supported to 2. Select Save, but don't close the product. Set the Default Price List field to Default Price List. Select the Additional Details tab, directly above the Name field. In the Price List Items section, select Add New Price List Item. Assign the price list created earlier in the Price List field. Switch to the Pricing Information tab, and then fill in the Amount field with the price for your product. Presenting complicated products to a customer with traditional 2D materials is unsatisfactory, and creating physical 3D models is time-consuming and costly. Product Visualize simplifies the entire process by bringing 3D digital models into the real world. Product Visualize makes use of the widely available GL Transmission Format (glTF) to store model data. Many of the most popular 3D modeling products used by engineering and marketing teams already support this format, and exporting tools exist to convert many other formats to glTF. The GLB format is the binary version of .glTF version 2.0, which can include textures. This section provides step-by-step instructions for adding a model and thumbnail image to Product Visualize. In the left pane, select Products to go back to the Product list page. Select a product to open it. On the Related tab, select Documents. You'll see a view of the SharePoint document location for that product. In the Open Location drop-down list, select Documents on Default Site 1 to open the SharePoint location outside of Dynamics 365. Create a folder with the name of the file (without the extension) under the product that it's associated with. Example: “ModelName1”. Products can have multiple models inside of them. Create a new folder and model file for each model that you want to add. Italic folders above are automatically generated by Dynamics 365. Add the files and folders marked in bold. 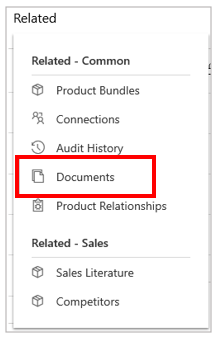 SharePoint folders are created when you first visit the documents folder using a Dynamics 365 app. If the folder for a product doesn't exist yet, return to the Sales Hub and open the product's document location from there. After it's created, you can access it through SharePoint. Create a Thumbnails folder under the model folder. 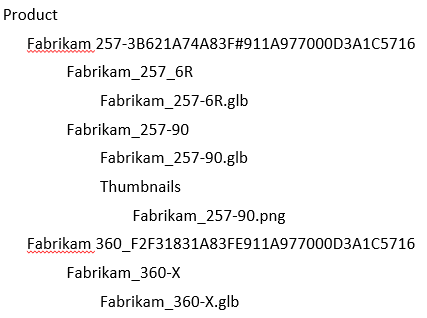 Add a PNG image (with the same name as the model folder) and the model file to the Thumbnails folder. Opportunities represent a chance to sell your products to a customer. They capture a customer's needs, budget, and timeline, in addition to the list of products the customer is interested in buying. Sales people can view their open opportunities directly from the Product Visualize app, but they must be added through the Sales Hub interface. Go to the Dynamics 365 Sales Hub. In the left pane, select Opportunities. Select New at the top of the page to create a new opportunity. In the Topic field, add a name for the opportunity. Assign the Owner field to any user you have already added (optional). The Owner field relocates to accommodate the size of your browser window. In a large browser window, it appears in the upper-right corner of the page. In a medium-sized window, it's hidden in a drop-down menu in that same corner. In a small browser window or on mobile devices, it appears at the top of the Summary section. Select Save, but don't close the opportunity. Open the Product line items tab. Set the Price List to the one created earlier. In the Existing Product field, select one of the products you created. In the Quantity field, enter a quantity. The Product Visualize Control is an optional enhancement that allows salespeople to open the Product Visualize app directly from Dynamics 365 for Sales on their mobile devices. The control is lightweight and can easily be updated or removed. Download the Product Visualize solution. Go to the Dynamics 365 for Sales Hub. Select the Settings button, and then select Advanced Settings. In the Settings drop-down list at the top of the page, select Solutions. Import the solution by selecting the Import button and selecting the solution (.zip file) you downloaded. In the Solution Information dialog box, select Import to begin the import process. Importing a solution will replace any existing versions of that solution. In the Settings drop-down list at the top of the page, select Customizations, and then select Customize the System. In the left pane, select Entities > Opportunity > Forms. Select the Opportunity form where the Form Type is set to Main (not the one marked Quick Create). In the Summary section, on the Insert menu at the top of the page, insert a One Column Tab. Double-click the newly created tab, set the Name and Label fields to Product Visualize, and then select OK. Drag a Description field into the newly created tab from the menu on the right. You might have to clear the check box for the Only Show Unused Fields options to see the Description field. Double-click the Description field you just placed to open the Field Properties dialog box. On the Display tab, clear the check box for Display Label on the Form. On the Controls Page, add the Product Visualize control from the list, and then select the Web, Phone, and Tablet options. Select OK to finish adding the control. Select Save to save your changes from the menu bar. Select Publish to publish your changes and make them immediately visible on any Opportunity page. The Product Visualize mobile app requires permission to access the Dynamics 365 for Sales and SharePoint instances you set up earlier. As a global administrator for the trial tenant, you can grant access to the entire organization so that each user doesn't have to do it individually. Download the Microsoft Dynamics 365 Product Visualize app from the Apple App Store. Open the app, select Sign In, and then enter the administrator credentials for the trial environment. At the Permissions Requested prompt, select Consent on behalf of your organization. Select Accept to return to the app. Microsoft Teams is the best way to collaborate with your team, manage files, and have conversations in one easy-to-use location. You can connect Product Visualize to Teams to make collaboration with your sales team even easier. In a private browser window, go to https://teams.microsoft.com. Make sure you're signed in as the admin for your trial tenant. When asked whether you want to open the desktop client or web app, select Use the web app. You'll see a message that says: "We didn't find a Teams account for you, but you can use your organization's trial license to get started". Once the web app has loaded, you should see an option to join or create a team. Select Create Team. When you see the option to build a team from scratch or create from an existing team, select Build a team from scratch. Give the group a name and a description. In the Teams and Channels list, select the More Information button (...) next to the team you just created. Give the channel a name related to the opportunities you want to connect to it (for example: Seattle-area opportunities). In the lower corner of the Teams client, select Store. Select the icon for Dynamics 365 (Preview) to open the installation dialog box. Ensure that the Add for You option is set to Yes. In the Add to a team section, search for your team's name, which will also set the second option to Yes. On the next page, select the channel you just created, and then select Set up. Select your Dynamics 365 organization from the Org list. 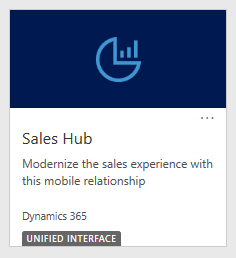 Select Sales Hub from the App Module list. From the list of Dynamics 365 entities, select an opportunity, and then select Save. For more information on setting up Teams, see Install and set up the Dynamics 365 app for Teams. Product Visualize makes your customer's needs part of the conversation by posting any notes you make in the app back to a connected Teams channel. The text and mixed-reality image get posted to Teams, giving your team the information and context they need to make smart decisions. This feature is enabled by default but can be turned off through the in-app Settings menu. You now have everything you need to start using Microsoft Dynamics 365 Product Visualize. New opportunities, products, and models will show up automatically in the application after they have been added to Dynamics 365 for Sales. For help or feedback, use the Feedback button in the Product Visualize app.